(Bloomberg) -- More Bitcoin has been caught in the Quadriga CX vortex. The shuttered Vancouver-based digital exchange "inadvertently" transferred 103 Bitcoins on Feb. 6 to an offline storage account known as a cold wallet that was protected by passwords held by the company’s founder, who died in December, leaving the company unable to access cryptocurrency valued at C$468,675 ($354,300). The revelation is part of a Feb. 12 update by Ernst & Young Inc., the monitor appointed Feb. 5 by the Nova Scotia Supreme Court to oversee the digital exchange’s restructuring under creditor protection. Ernst & Young didn’t disclose how the latest transfer happened. 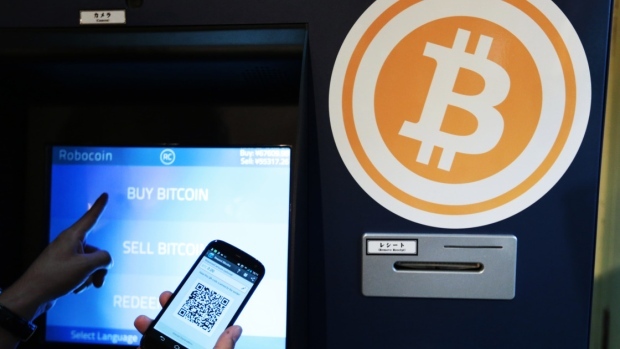 Quadriga sought help after suspending operations in January, saying it was unable to retrieve cryptocurrency and funds owed to some 115,000 clients following Gerald Cotten’s death. The company, which Cotten operated primarily from a laptop computer, can’t retrieve about C$190 million in Bitcoin, Litecoin, Ether and other digital tokens held for its customers, nor can it pay the C$70 million in cash those customers are owed, according to earlier court filings. Crypto investors and exchanges often keep their holdings in cold wallets -- typically, physical devices disconnected from the web that can be plugged into a computer when needed since internet-connected hot wallets can be vulnerable to hackers. Ernst & Young said it has relied on unaudited financial information, Quadriga’s books and records, financial information prepared by the exchange, as well as discussions with the exchange’s directors, consultants and legal advisers to prepare the first report. The monitor hasn’t received any funds from third-party payment processors yet; and one is holding five bank drafts totaling C$25.2 million. Two active laptops, two older laptops, two active cell phones and two "dead" cell phones, and three fully-encrypted USB keys owned or used by Cotten for the Quadriga operations have been retrieved. Ernst & Young has established a toll-free hotline --- 1-855-870-2285 -- and email account, at quadriga.monitor@ca.ey.com, to allow creditors and other interested parties to get additional information on the court proceedings.